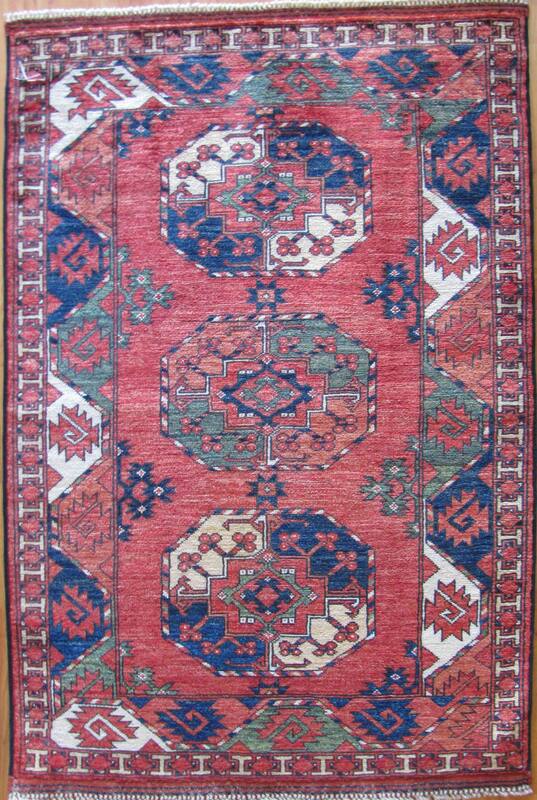 View cart “Kazak Design” has been added to your cart. Ersari tribal weavers in Afghanistan still weave their traditional motiffs in rug designs made from natural vegetal dyes and handspun Ghazni wool. SKU: 28923. Category: Tribal Geometric. Tag: 3x5.